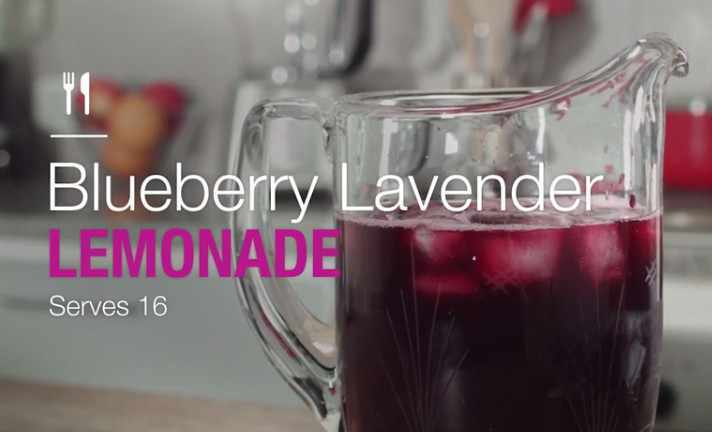 Today's recipe is Blueberry Lavender Lemonade. Dried lavender and fresh blueberries make this homemade lemonade a refreshing end-of-summer hit. See how you can upgrade traditional homemade lemonade with fresh blueberries and dried lavender. Make sure to measure lavender carefully, and buy fresh lemon juice — not from concentrate — or squeeze about 10 large lemons.